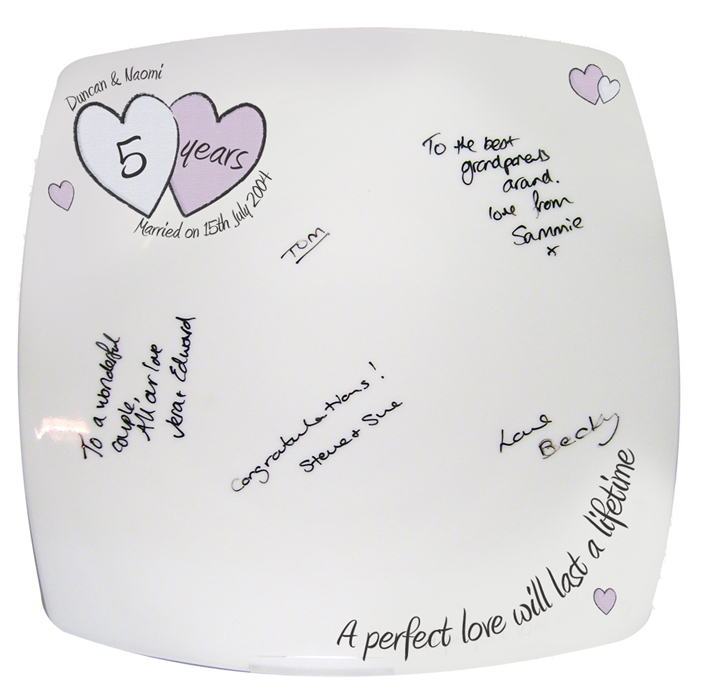 This modern square 10 china plate is the perfect way to remember any special anniversary. 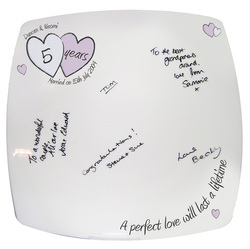 The plate is decorated with a lovely heart design, inside the heart shows the number of years of the marriage and above and below the heart with the couples' names and date of the wedding maximum of 30 characters per line. The plate also comes complete with a special pen for all your family and friends to leave their own personal messages. Allow 24 hours for all the writing to dry, to make sure the message you have written won't fade over time. Line 1 Couples names Line 2 Year of anniversary Line 3 Date of marriage.